Prague is the city which sparked my love of beer. My tastes have certainly evolved since then and this time I will be looking to try more than just the pilsner's, for which the country is famous. On this trip to the Czech Republic we ventured further afield than Prague in our search for beer. Our trip to the supermarket yielded the biggest haul of the trip so far with 13 different beers selected. 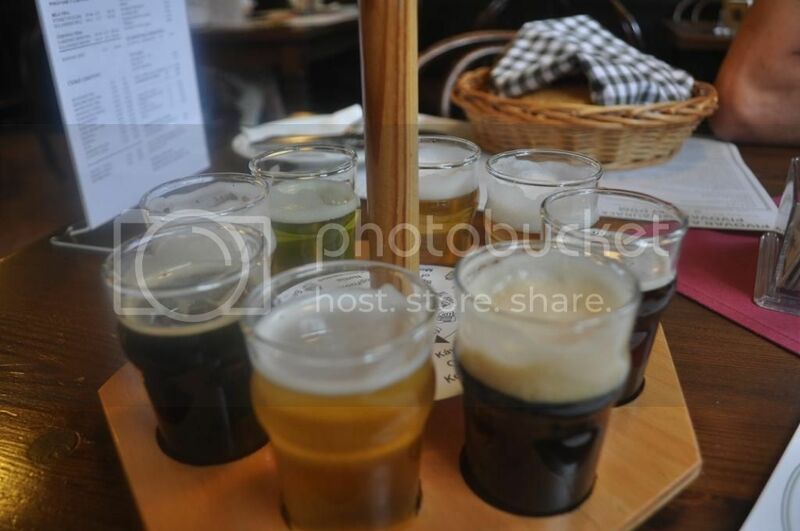 It was a mix of lagers, both light & dark, some fruit radlers, an absinth beer etc. You may notice a conspicuous lack of Pilsner Urquell from the lineup, that's because we visited the brewery in Plzen which I will elaborate on below. 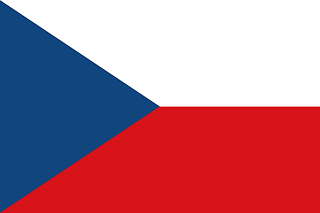 Everyone who drinks lager has the Czechs to thank for the beer they drink. Pilsner Urquell was the first beer to use a now common bottom fermenting lager yeast in 1842. In honour of this feat Lizzie and I made the journey 90km's down the freeway from Prague to Plzen, the home of Pilsner Urquell. The brewery tour is fascinating, they still brew some batches of beer in barrels under the brewery and down in the cellars you can taste an Unfiltered Pilsner Urquell! A real highlight! Back in Prague, at dinner times I normally stick with Staropramen, either light or dark. 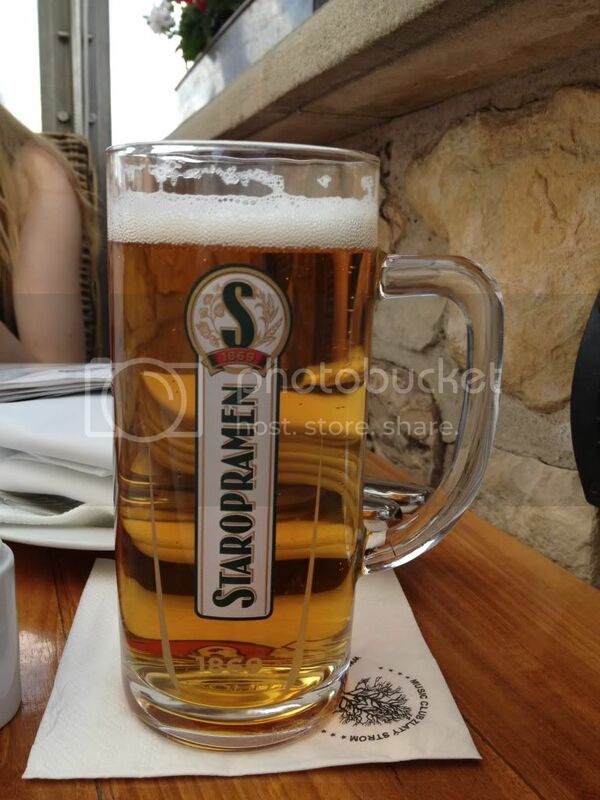 Staropramen is brewed in Prague and is the most readily available beer. Both the light and the dark (Cerny) are very serviceable beers, while not world beaters both are very drinkable in the hot Prague sun. Unlike most of the rest of Europe when you order a dark beer in the Czech Republic you end up (normally) with a Scharzbier. It's one of the styles of beer that really caught my eye when I first started tasting good beer. All the big breweries have one, but if you are after a slightly left field option try the Svijany Knezna; it was my favourite of the 6 or 7 I tried. One of the things I learnt this time in Prague is that many locals do not order beer by the brand. It's not like back home where you walk into a bar and ask for a Carlton. In Prague they walk in and ask for a 12 or a 13. This number isn't the alcohol content, it's the gravity of the beer (measured in degrees Plato). As most Czech beers are similar they don't care which brand's beer they get they just want the different thickness (and by extrapolation ABV...). That pearl of wisdom came from Tom, our guide on the best beer tour I've ever done! It was a microbrewery tour of Prague where we visited 3 breweries. We visited Pivovarsky Dum, U Medvidku and Il Tri Ruzi. All of them make good beer and have a good selection. Pivovarsky Dum (tasting pictured left) make a few really good fruit beers to go with their more conventional core range. It's unlike me to give a plug, but I really think this tour is worth it! Tom was able to talk technically to me about beer, while was still able to explain to Lizzie things like gravity of beer, which I have made a complete hash of above! It's a hard thing to explain... Anyway; here's the link. If you love beer, or even if you don't this is a must do tour! I'm going to put Lizzie's thoughts down on the two grapefruit radler's as I thought both were bar too sweet and soft drink-like for me to review. She preferred the Zlatopramen version as it had more citric characteristics which helped to balance out the overriding sweetness. While the Staropramen lacked the bitterness and was unnecessarily sweet and over carbonated. All Czech beer is of similar quality, is something that is bandied about alot. So the question becomes how to pick the worst of a good bunch. Well in that regard 2 stood out from the pack. Branik, the beer that you see a lot of locals drinking in the street, is an awful lager. 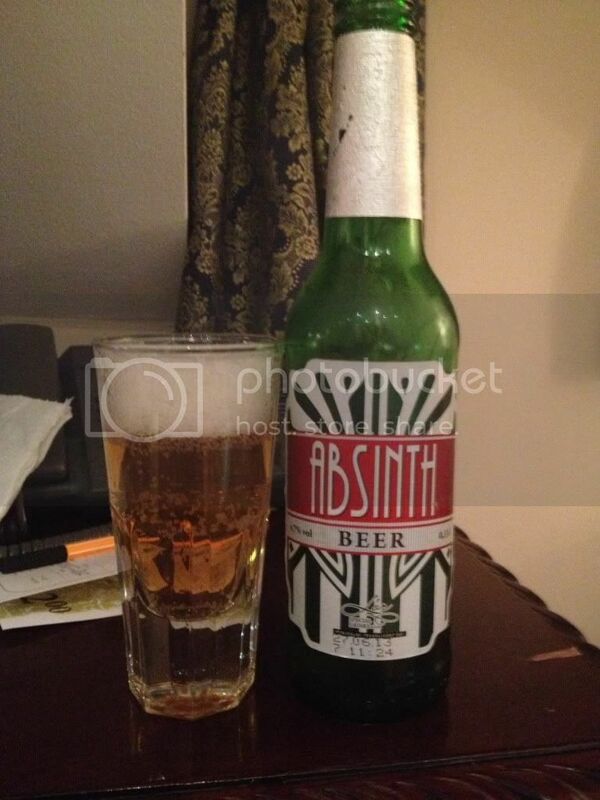 While the Absinthe beer is a nice novelty but completely undrinkable, so undrinkable that I poured it out! The range of easily accessible beers in Prague is by far the most extensive of any country I've been in so far on this trip. I will stress again that I'm buying the beers from supermarket's so to get this much variety in style is impressive. The Czech Republic is probably the ultimate beer destination in the world, with maybe the exception of Munich's Oktoberfest. I can't recommend it highly enough. If you only ever take one piece of advice that I write seriously, go to Prague and drink the beer!